Quick update on how I’m getting on. Not really printed anything out of the A8 yet, to be honest, having read about overheating issues don’t want to leave unattended. I’ve also been reading up on the options of replacing acrylic frame with a aluminium one, as the acrylic does flex a lot. 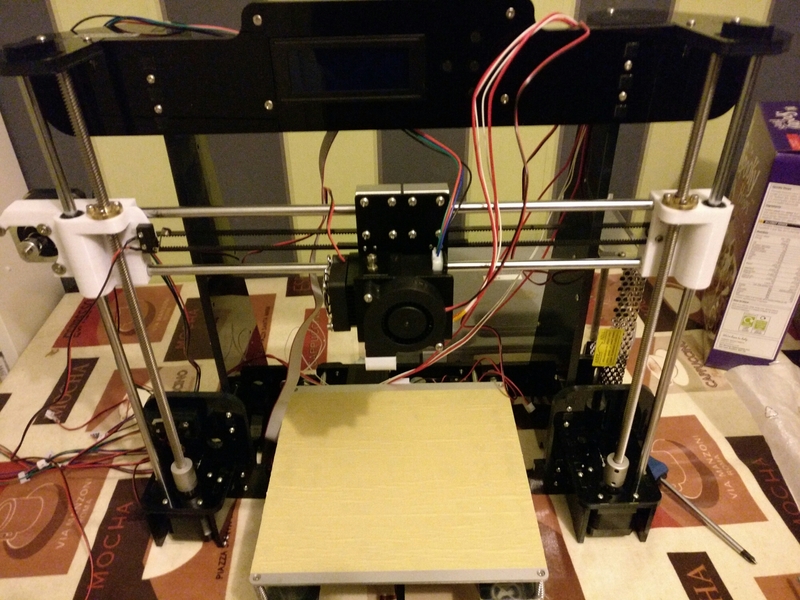 Just a final note, when I built the printer I followed the aNet YouTube guide, which was really helpful. I found it best without sound! Still undecided whether to replace electronics, or just put the whole unit in a fire resistant box. I post another update soon. I completely the final assembly and wireing last night, probably another 2 hours total build time. Turned it on and had immediate issues with one of the z steppers not moving properly. A bit of googling and all I needed to do was turn up the current, via a tiny pot on the controller board. 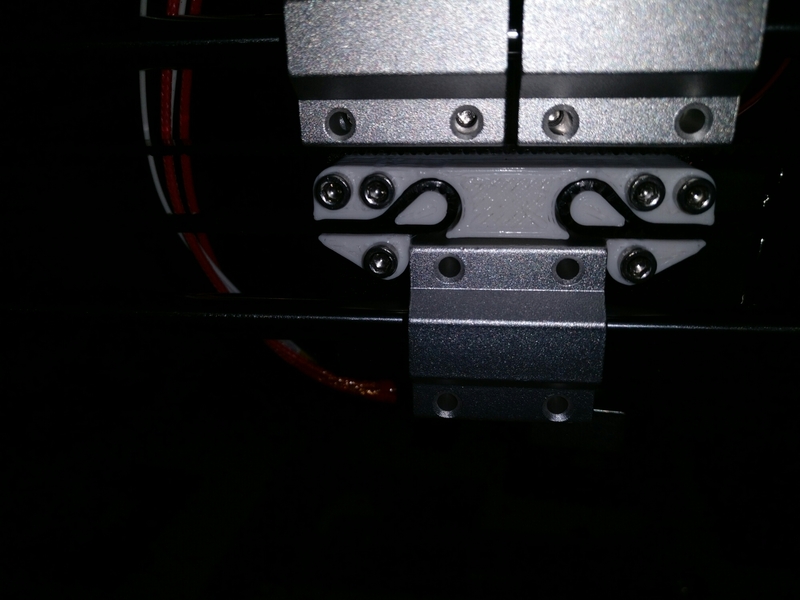 I also printed a chain to take the cabling for the hot bed. Not the best print from my other printer, but it works well. Next upgrade has to be the z stop adjustment as it’s useless. Basically you have to unscrew and move the switch to set the build plate height. Ie no fine adjustment. 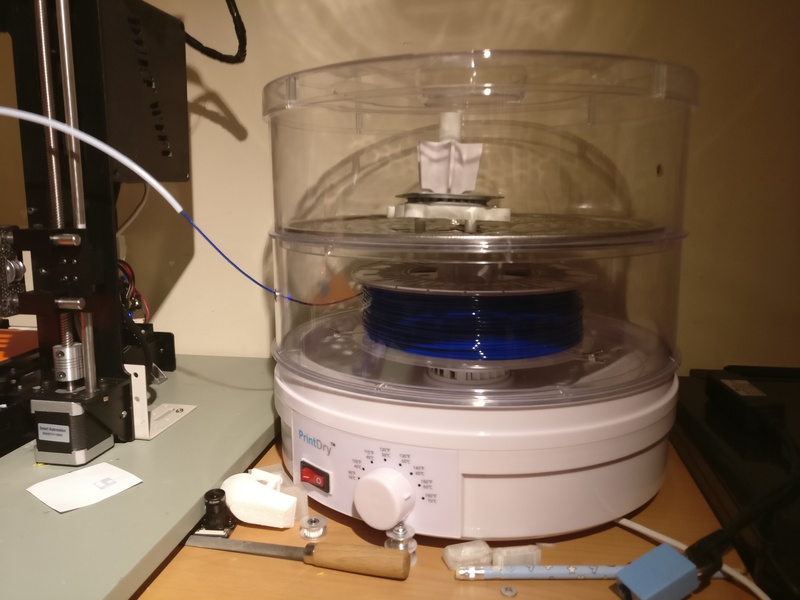 Just printing this replacement on my other printer. 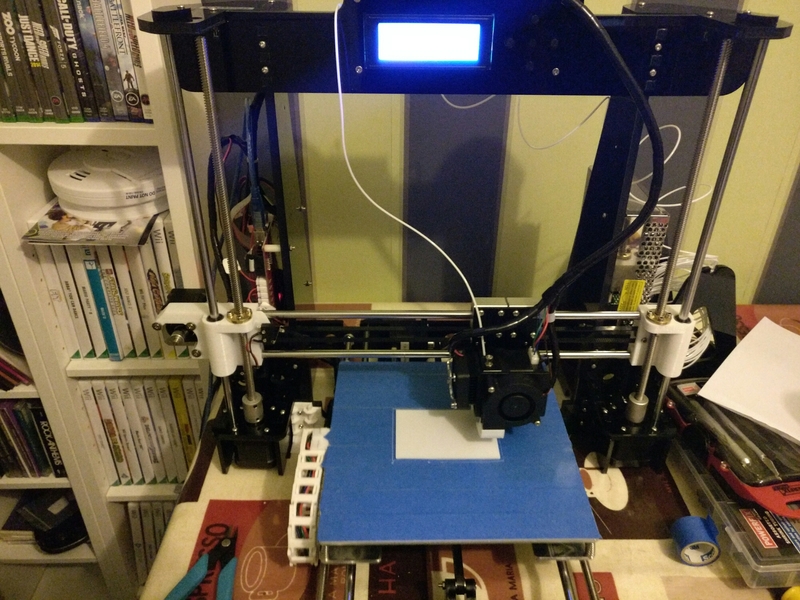 This is it printing on my OrdBot, which is about 3 times the speed of the aNet A8 at the moment anyhow. Today I found the DIY kit nemesis, a missing part!. Well I could contact my supplier and get the part shipped from China, or I could find one on thingiverse and print a upgraded one. Probably spent about 2 hours today, and I’ve just got the cabling to tidy and connect. 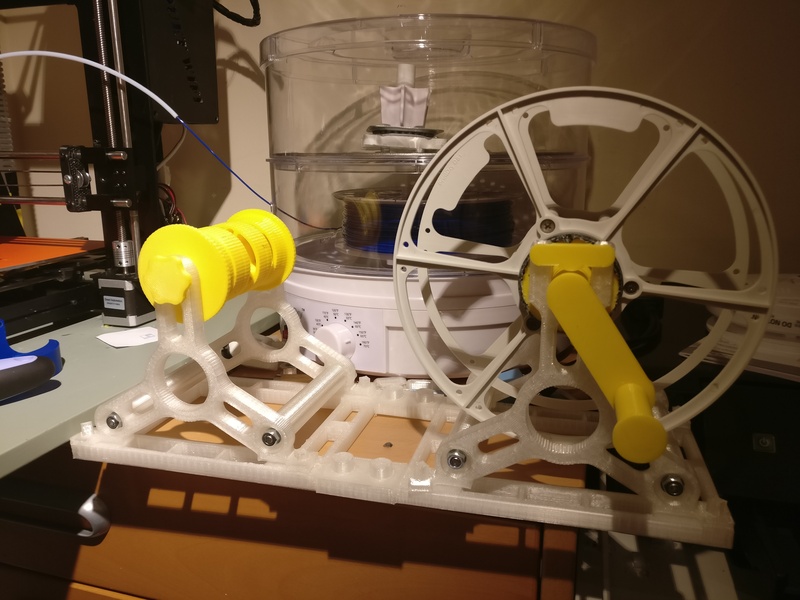 Already printed a y axis tension upgrade which I’ll fit tomorrow. Having been involved in the technology industry during some of the most exciting times in the history of the internet and it’s mass acceptance into our daily life’s, I have finally decided to join the diverse and creative community of people who share their experience through the medium of a Blog. From the time I got my first Computer, which was a Commodore 64, I’ve been excited by technology and what technology can do. Computers have been a very key part of my life, from helping me to learn to read as a youngster, to keeping me and my family in a comfortable lifestyle. Over the past year I’ve been increasingly involved in a number of initiatives that have been setup to introduce a new generation to the world that computers have made for us, not as a consumer, but as a creator, inventor and developer of new and exciting technology. Through this site I’m going to attempt to share some of the ideas, experiences and interesting stories I witness as I continue this exciting journey into our technology filled future.